“…Your promise preserves my life” (Psalm 119:50). -my external beauty/good looks preserve my life. None of the items in the list above are inherently bad–it’s a blessing from God to have friends/loved ones! It is a blessing from God to have good physical health! It is a blessing from God to have easier life circumstances! It is a blessing from God to get a great new job! It is a blessing from God to be married and to have children! Etc. etc. etc. …but only God’s unfailing promises to us can keep us afloat when we are shipwrecked in the middle of the ocean of life’s storms. 1. “I [Jesus] am with you always” (Matthew 28:20). 5. “You cannot be snatched out of My [Jesus’] hand” (John 10:27-30). Now THOSE are some serious life-preservers! But how do we cling to those promises? How do we practically hang on to them in our storms? 1. Read them! Remind yourself of them! Recite them! Remember them! Financially, you can only make withdrawals on money that you have previously deposited. This is true spiritually as well! How can God bless us through His Word if we never read His Word? An encouraging note from a friend, if left unread in its envelope, cannot encourage you! So let’s start small and begin investing a few minutes each day to read the Bible, to read the promises listed above, and to remind ourselves of them throughout the day by posting them throughout the house and talking about them with loved ones. Keeping our minds filled with God’s promises is a great way to keep our minds empty of fear’s threats. This is why Paul says to fill our minds with what is good, noble, pure, etc. (Philippians 4:8)–a stomach filled with healthy veggies doesn’t have much room for junk food! -do our daily tasks like investing in our marriage, raising our children, work, chores, etc. And yet one of the best ways to get through the pain of slamming your toe into a coffee table isn’t to sit down; it’s to WALK IT OFF! Keep using that toe in the midst of the pain! After cross country races in high school, when I crossed the finish line after a three mile race my first desire was to fall down on the ground. But my coaches would tell us to “keep walking, keep moving, don’t hunch over, keep your torso straight so that more air can get in your fully-expanded lungs!” They knew that doing so would help us recover faster and more completely. The same is true spiritually. In the midst of suffering, we put God’s promises into practice (i.e. 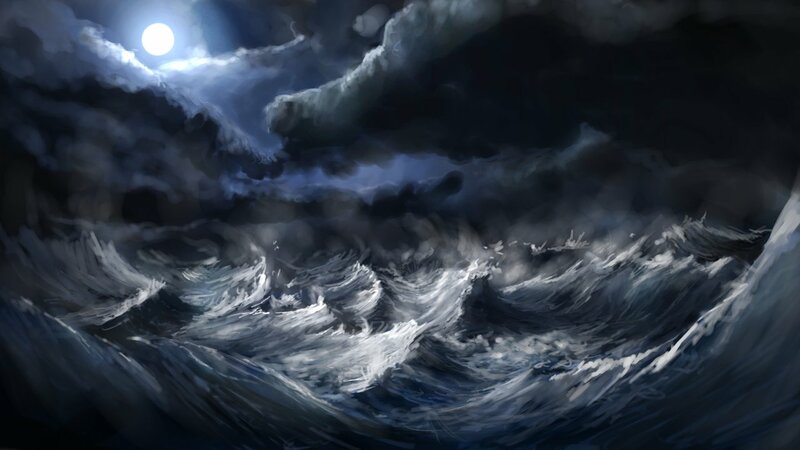 we get into the life-boat that He has given us) when we continue to love Him and love others even though we simply want to withdraw and hide until the storm passes, until the pain goes away, until the suffering ends. But God knows that we too need to “walk it off” and continue to put one foot in front of the other even when we don’t want to. One of the truest examples of faith in Jesus is treating Him with the same worship, praise, thanksgiving and obedience when times are hard as we do when times are easy. Now, there are times when we experience traumatic pain that does require us to slow down, scale back, rest in God, allow the Holy Spirit to spiritually rehabilitate us, and allow others to serve US! A track star, after breaking his/her leg, should not and cannot race the following week! But they can help the team in other ways by staying OFF the broken leg, resting, and allowing it to heal over time. Sometimes we simply need to soak in God’s love and promises like a bruised athlete soaks in a hot tub, doing nothing other than staying still! Seasons like this can be extremely healing and can allow us to “get back in the game” in the future with more of God’s love, faith, grace, and power flowing through us to others. God has graciously and expertly and lovingly provide a life-raft for us when we are shipwrecked and capsized and adrift at sea: His unfailing promises! May we choose each day to get in His boat…all aboard!